Captain Disaster - Official Website: Join the Dark Side - we have free eBooks! Captain Disaster sleep-walks his way onto a moon with a terrible secret. 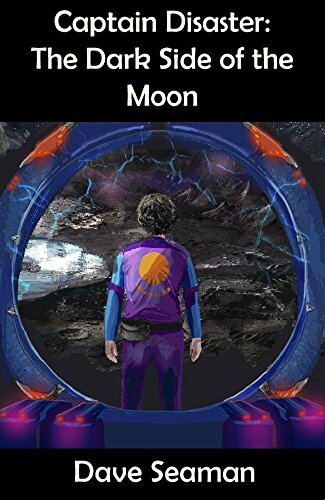 Will he escape the danger, find help from the moon's inhabitants, and manage to endure the many dreadful puns, and manage to get back home? This short story of 10.5K words is based on the point and click adventure game of the same name, but with a few differences thrown in to make things more interesting, and to include more character interaction. The humour never leaves the page but this is also a story with heart. Fans of classic science fiction books, movies, TV series etc will spot numerous references - some subtle, some less so - including Dr Who, Terrahawks, Star Trek and many others. There are several references that point and click adventure game fans will recognise too. The ebook currently has 2 ratings on Amazon's UK site, both 5-stars. "five stars for the originality and humour"
"A short and humorous tale that fans of comedy sci-fi will certainly appreciate"
This comedy sci-fi short story is based on a computer game I also wrote and designed along with Mark Easton. The game is freeware and available on Itch and GameJolt.